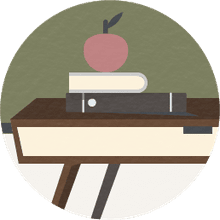 The Common Core State Standards is a set of learning standards that provide a clear and consistent understanding of what students are expected to learn throughout the school year. The standards are designed to provide teachers with a guideline of what skills and knowledge students need​ so that they can prepare students for future success. Bloom's Taxonomy refers to a set of learning objectives that teachers use to guide their students through the learning process. When students are introduced to a topic or concept the teacher uses higher-order thinking skills (Bloom's Taxonomy) to help students answer and or solve complex problems. There are six levels of Bloom's Taxonomy: remembering, understanding, applying, analyzing, evaluating, and creating. Instructional scaffolding refers to the support a teacher gives a student when a new skill or concept is introduced to them. The teacher uses a scaffolding strategy to motivate and activate prior knowledge on the subject they are about to learn. For example, a teacher would ask students questions, have them make predictions, create a graphic organizer, model, or present an experiment to help activate prior knowledge. Guided reading is a strategy that a teacher uses to help students become great readers. The teacher's role is to provide support to a small group of students by using a variety of reading strategies to guide them to become successful in reading. This strategy is primarily associated with primary grades but can be adapted in all grade levels. A brain break is a short mental break that is taken during regular intervals during classroom instruction. Brain breaks are usually limited to five minutes and work best when they incorporate physical activities. A brain break is nothing new. Teachers have incorporated them into their classes for years. Teachers use them in-between lessons and activities to ​jump-start students' thinking. The six traits of writing have six key characteristics that define quality writing. They are: Ideas — the main message; Organization — the structure; Voice — personal tone; Word Choice — convey meaning; Sentence Fluency — the rhythm; and Conventions — mechanical. This systematic approach teaches students to look at writing one part at a time. Writers learn to be more critical of their own work, and it helps them to make improvements as well. Other common educational buzzwords that you may hear are: student engagement, higher-order thinking, Daily 5, everyday mathematics, common core aligned, critical thinking, portfolio assessment, hands-on, multiple intelligences, discovery learning, balanced reading, IEP, chunking, differentiated instruction, direct instruction, deductive thinking, extrinsic motivation, formative assessment, inclusion, individualized instruction, inquiry-based learning, learning styles, mainstreaming, manipulative, literacy, life-long learning,flexible grouping, data driven, SMART goals, DIBELS.